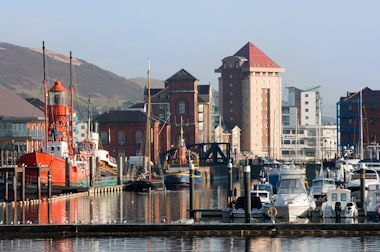 The city of Swansea sits on the South Wales coast and is the second largest city in wales, and today is modern bustling place with plenty of things to do and places to visit. The city we see today has developed over many years with archaeological finds from the Stone Age, Bronze Age, Iron Age and Roman eras having been found in and around the City. 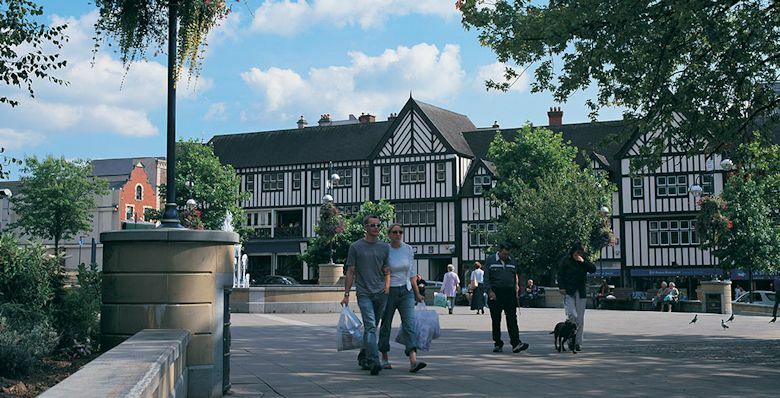 The town developed and in the 12th century it was granted a charter and given the status of “Borough” and over the following centuries it grew to become a busy industrial town. In the 19th century it became a major player in the supply of copper to industries all over the world earning it the nickname Copperopilis. During the war the town sustained major damage during the blitz on the town and its port in an effort to destroy the town’s industrial base and much of it was rebuilt into the city we see today. The old town was granted City status in 1969 to mark Prince Charles’ investiture as The Prince of Wales. 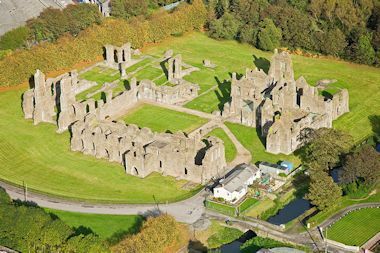 Visitors to the area will find plenty of things to do and places to visit and the ruins of Neath Abbey which was founded in 1130 by Richard de Granville, will take you back to that time when abbeys were major centres of religion and wealth with its imposing ruins and peaceful setting. There is also the remains of Swansea Castle which over the years has been used as a market, a town Hall and a prison. The Mumbles lighthouse has sat on the coast and guided vessels into Swansea for around 200 years and is accessible by foot at certain tides, or by boat, which is a better option. Originally the lighthouse had two coal lights but these were changed to oil but today they have solar powered lights which are set with one above the other to distinguish it from other lighthouses along the coast. 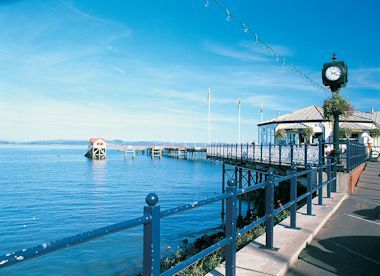 The Mumbles Pier was opened in 1898, it cost £10k to build and is 835 foot long. When constructed it was the terminus for the world’s first passenger carrying railway along with being a terminal for paddle steamers that saw many tourists pouring into the area. Today it is still a major tourist attraction although at the moment it is undergoing a major refurbishment, but should be open in 2014. The Swansea Marina situated behind the Swansea Barrage at the mouth of the river Tawe was developed after many years of planning following the closure of the old south dock which closed in 1969. The marina, which opened in 1982 now has a boat yard for repairs / servicing and boat building with a few shops catering for those that use the marina which has in excess of 500 berths. 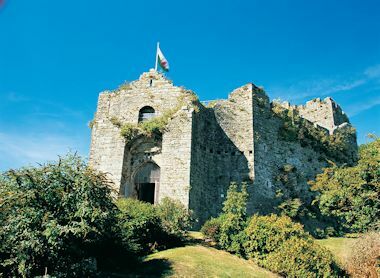 Oystermouth Castle sits on a small hill overlooking Swansea Bay, and was the home of the Lords of Gower and dates from the early 12th century. By the 16th century the castle had outlived its usefulness and fell into decline but it is well worth visiting. If you are looking for something different then a visit to the National Waterfront Museum will not disappoint you with its fascinating look at the history of Transport, Materials and Networks. The museum has many interesting exhibits and shows how Wales has developed over the last three hundred years from the early days of steam to coal mining, to Wales’ very first plane to the copper / tin and steel production that took place in the area. The museum has a variety of interactive workstations that will keep you and your children interested as they explain how Wales played its part in the industrial development of Great Britain. There is also the Swansea Museum which is the oldest museum in Wales and houses a variety of items which include an Egyptian mummy in its archaeology collection to model boats and nautical objects and a section on the Second World War and the impact that this had on Swansea and its inhabitants. For those with an interest in literature why not visit the Dylan Thomas centre which highlights the poet’s life and work with a permanent exhibition and collection. Swansea became known Copperopolis and if you want to find out about how the city had this nickname then a visit to the old White Rock Copper Works will hopefully answer some of those questions. 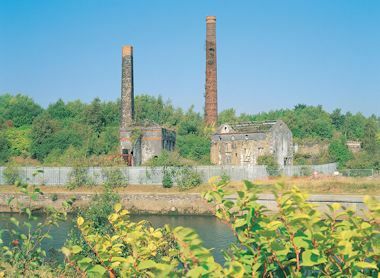 By 1820 Wales exported around 50% of the world’s smelted copper and this part of Wales became a major industrial site for this activity and would have been a major employer along with creating work in other areas such as coal which was needed for the smelting process. City-of-Swansea.com is no longer supporting email addresses on this domain, due to the fact that the domain is now under new ownership. Please make other arrangements for your email and let your contacts know as soon as possible.